Our client, a 40-year-old Kenmore man, and his wife were just leaving their home to take a walk in their neighborhood in May 2015. While the man and his wife were standing outside, still on their own property, a dog approached them aggressively. It began running circles around the couple and jumped at their faces. The dog that attacked was believed to a husky and/or malamute mix. The dog was regularly permitted to leave its home and roam freely without supervision in the neighborhood, even though the owners knew the dog had a history of behaving aggressively towards humans. Although one of the dog's owners was nearby and saw the dog's aggressive behavior towards the victim, the owner made no effort to control or leash their dog. When the dog lunged at the man, he instinctively tried to keep his arms and hands in front of his face for protection. He moved away from the dog and fell backwards onto the ground. The force of the fall resulted in two broken wrists, and the fractures were so severe that he required surgery. Only after the victim was injured did the owner of the dog return to apologize and capture the aggressive dog. Ultimately, the man suffered extensive damage to both of his wrists. In his left wrist he fractured the distal radius, with extension into the radiocarpal joint, oriented parallel to the long axis of the radius. In his right wrist he suffered a transverse fracture of the distal radius, with extension into the radiocarpal joint, displaced ventrally. Additionally, he sustained a fracture of the right ulnar styloid. 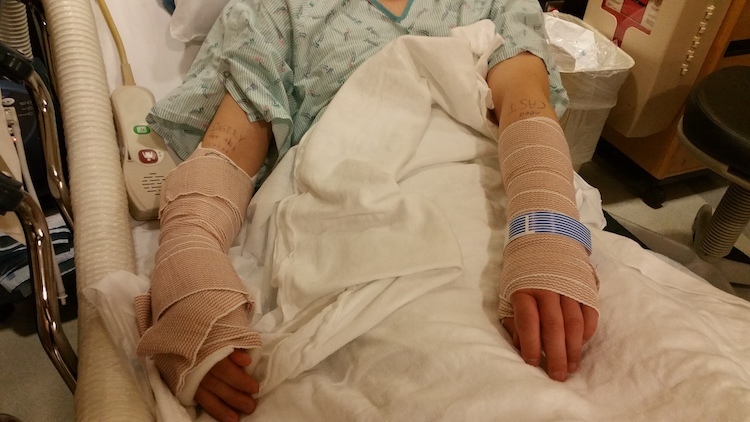 He underwent open reduction and internal fixation surgery on his right wrist. His left wrist was put into a cast. After that was completed, he went through grueling physical therapy to get back to 100 percent. Because of the horrific nature of the incident, the man experienced post traumatic stress after the attack. Immediately after the attack, he stated that he would get extremely nervous when a dog was close to him. Even years later, our client needs to carry pepper spray when walking through his neighborhood. If he doesn't, he feels nervous that another attack may occur. The victim in this case contacted the dog bite attorneys at Davis Law Group, P.S., several weeks after the incident. While our client focused on his recovery, we handled all the insurance issues and communication with the medical providers, giving our client peace of mind. Attorney Chris Davis — founder of Davis Law Group — used his experience handling dog attack cases to serve our client in this case. The defendants possessed a homeowner's insurance policy through Allstate, and instead of sending a demand letter for damages in this case, Mr. Davis elected to file a lawsuit. The lawsuit claimed that the dog's owner acted negligently by regularly allowing the dog to leave the residence and roam free in the neighborhood without exerting any type of supervision or control over the dog. Our complaint for damages stated that the owners of the dog were strictly liable for the injuries and damages caused to the plaintiffs as mandated by the dog liability statute. It stated that the dog owners breached their duty of care by failing to control, confine, secure, leash and/or muzzle their dog so it could not escape or roam free. In Jan. 2018, Davis Law Group and our client settled with Allstate for $250,000. The settlement amount helped cover our client's hospital bills, surgeries, medication, X-rays and physical therapy. Note: Dog bite case results may vary depending on the severity of each individual case. 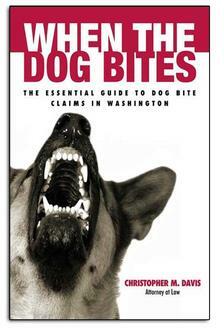 Washington state's Dog Bite Statute (RCW 16.08.050) states that the owner of any dog which shall bite any person while such person is in or on a public place or lawfully in or on a private place including the property of the owner of such dog, shall be liable for such damages as may be suffered by the person bitten, regardless of the former viciousness of such dog or the owner's knowledge of such viciousness. Davis Law Group helped a Kenmore man get a $250,000 settlement after he was the victim of a dog attack. The man suffered serious injuries to both of his arms and had to go through extensive physical therapy.